Here at Hartley Homestead we pride ourselves in providing the ultimate in luxury accommodation to ensure your stay is comfortable and memorable. South facing room with ground and garden views. Price includes breakfast, glass of a local wine and home baking. en suite bathroom with hairdryer, heated towel rail and wall heater. This corner bedroom overlooks the grounds and gardens and is bathed in morning and afternoon light. Price includes breakfast, glass of local wine and home baking. Perfect for the romantic getaway, honeymoon or longer stay is the very private luxurious super-king unit with views over the vineyard and Cairnmuir Range. A newly revamped large bedroom leads off a lounge and kitchenette. 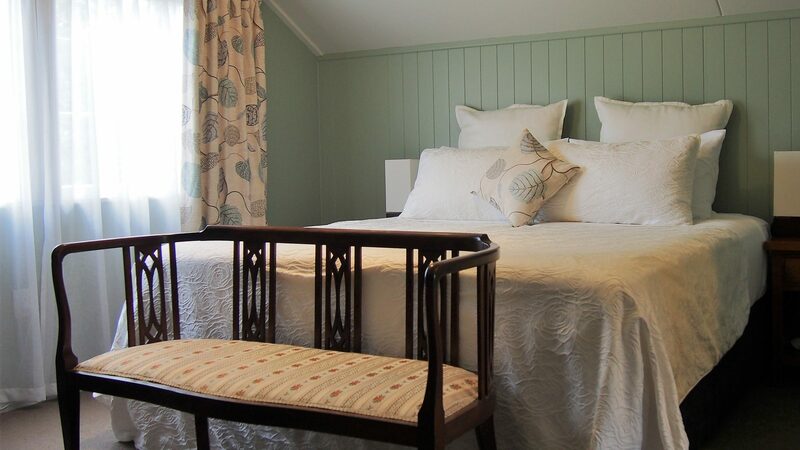 If it’s privacy you require you have it here – Price includes breakfast, a glass of wine and home baking.